By CandidCupcake on July 19th, 2012 . Filed under: Cupcake Ideas . OK, so maybe it’s still a tad bit early to start thinking about going back to school, but this is a pretty cute idea, and it doesn’t hurt to get started a little early. 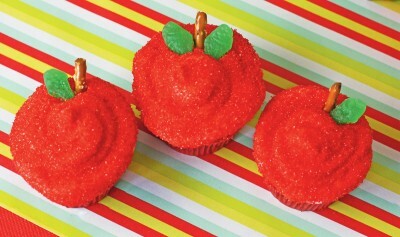 Go grab the supplies at your nearest Michael’s and plan a day to make these cupcakes. You could also make the cupcake stand to go with them if you’re feeling extra crafty. Maybe it will get your kids excited about the upcoming school year!